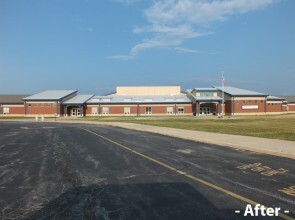 Project Profiles: Wright City Middle School - Luna and Associates - Specializing in commercial roofing products in Missouri, Illinois, Nebraska, Kansas and Iowa. 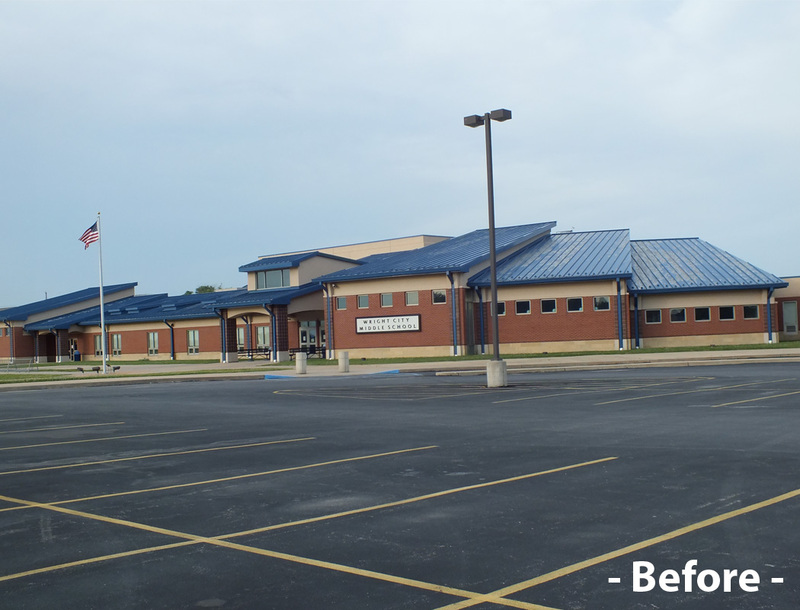 The standing seam metal roof on Wright City Middle School was only 10 years old when the school district called on Missouri Builders Service and Carlisle SynTec Systems for their help. 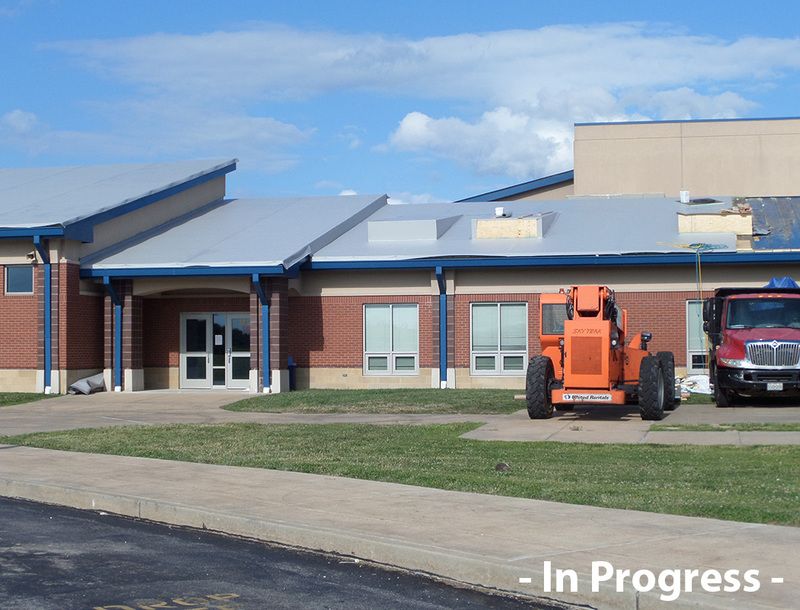 The school’s existing metal roof system, which was not purchased from Carlisle or installed by Missouri Builders, was leaking, its paint finish was failing in highly visible areas, and it no longer insulated the building properly. 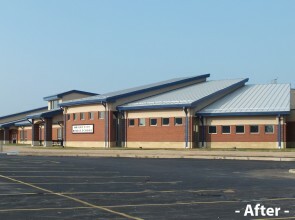 Installed in 2004, Wright City Middle School’s standing seam metal roof was comprised of eight roof areas of various elevations with a 4/12 pitch and decorative dormers. By 2014, something had to be done about the failing roof system, but, due to time constraints and the environmental cost of demolition and disposal, tearing off the existing roof was not an option. 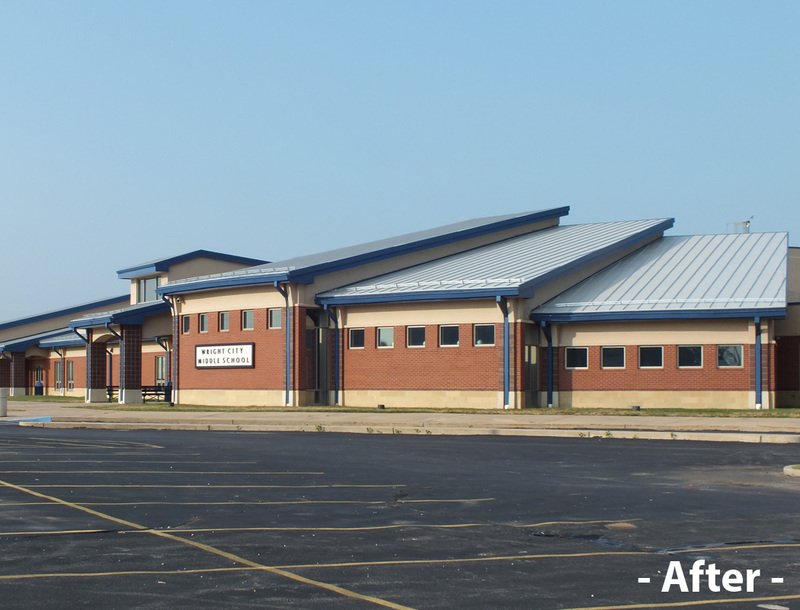 Instead, the Wright City school board, Superintendent, and Director of Maintenance made the decision to re-cover the existing roof with a Carlisle SynTec Systems FleeceBACK KEE HP PVC adhered roofing system with Contour Rib™ Profiles. Missouri Builders Service, a recipient of Carlisle SynTec’s ESP and Perfection Award due to their consistent record of top-quality installations, was the contractor selected to carry out the project. To replicate the appearance of the existing metal roof, Carlisle’s Sure-Flex™ PVC Contour Rib Profile would be hot-air welded to the membrane’s surface in a parallel pattern. Manufactured from the same weather-resistant compound as Carlisle’s Sure-Flex PVC, Contour Rib provides the aesthetic appeal of a standing seam metal roof at a lower cost than conventional metal roofing. The product is dimensionally stabilized and strengthened by a 1⁄8″ fiberglass reinforcing cord that runs the length of each 10-foot-long section, and its non-penetrating application has no effect on the roof’s watertight integrity. STAR® qualification guidelines. The membrane’s solid KEE HP plasticizer improves chemical resistance and reduces dirt pick-up for a clean finish. Flexible FAST Adhesive is a patented impact resistant, energy absorbing, elongating foam adhesive offering up to 150% elongation and 33-50% greater puncture resistance than non-flexible adhesives. Flexible FAST Adhesive boasts exceptional thermal efficiency, with each layer adding R-value, thereby dramatically improving insulation. Because of the quick application, minimal disruption to building occupants, low noise and low odor associated with a FleeceBACK with Flexible FAST system, it is an excellent choice for re-roofing projects. SecurShield™ HD provides savings in labor and material on projects that would typically require adhesive for attachment of a cover board to Polyiso. Fewer layers of adhesive translate to less labor, providing higher profits on roof installations. 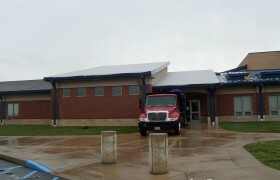 SecurShield HD offers improved resistance to high winds up to 1-285, achieves Factory Mutual’s SH-1 severe hail rating. SecurShield HD’s glass facers provide inherent moisture resistance and is highly resistant to mold, passing ASTM C1338 Standard Method for Determining Fungi Resistance of Insulation Materials and Facings. Faced with time constraints, specific color choices, and odd dimensions, Missouri Builders Service began the project by installing nailers and edge blocking. The roof’s poor condition forced them to mechanically fasten the HP-H Polyiso flute filler. 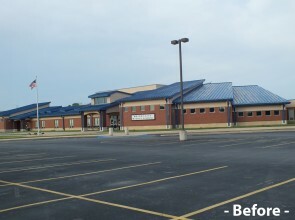 The remaining fl at stock Polyiso and Carlisle’s ½” SecurShield HD were adhered with spray-applied Flexible FAST. Missouri Builders then installed the FleeceBACK KEE HP PVC membrane, followed by shop-formed metal featuring a design similar to Carlisle’s SecurEdge™ 1000 and termination bar, with a snap-on cover to match. The Contour Rib Profile was installed to complete the project. 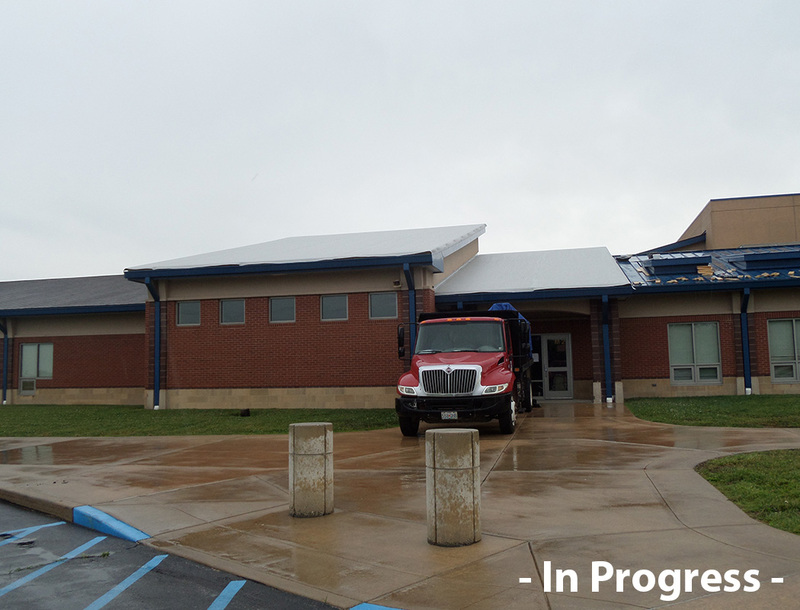 Upon completion, the roof was inspected by a Carlisle field service representative. During inspection, the quality workmanship that is characteristic of Missouri Builders’ installations was apparent. 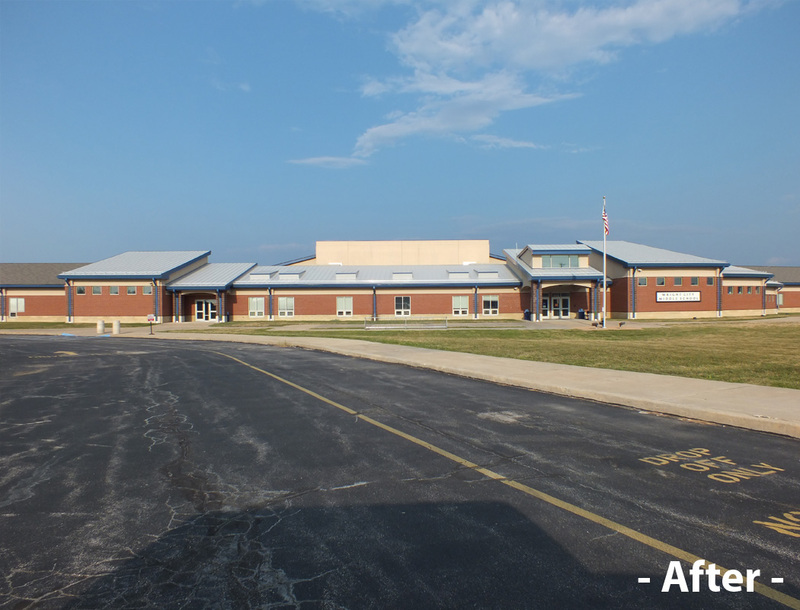 Wright City Middle School received a 20-year Total System Warranty that covers both labor and material. With the use of Carlisle materials, the project was completed quickly and no tearoff was necessary. Additional insulation increased the R-value significantly, improving energy-efficiency of the roofing system. 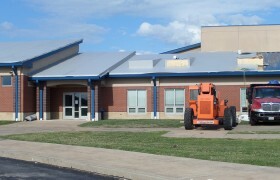 The contractor was able to maintain the original look of the roof while vastly improving its aesthetics.